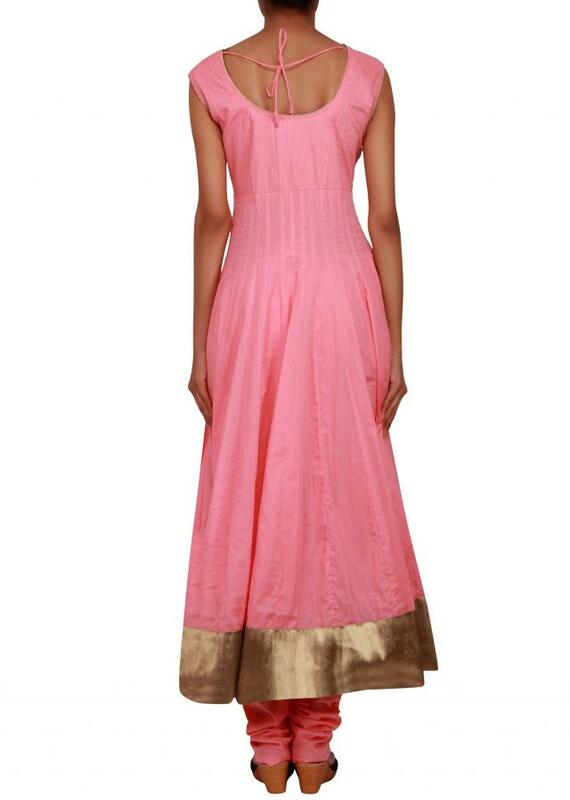 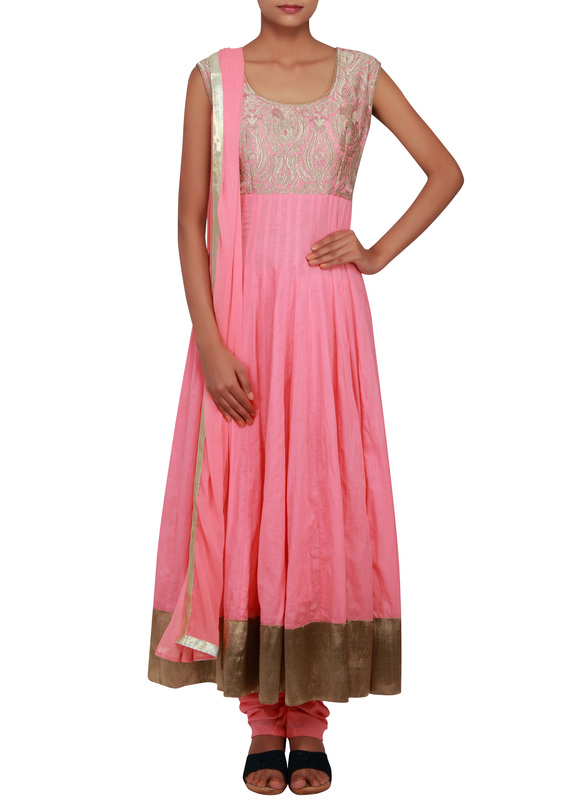 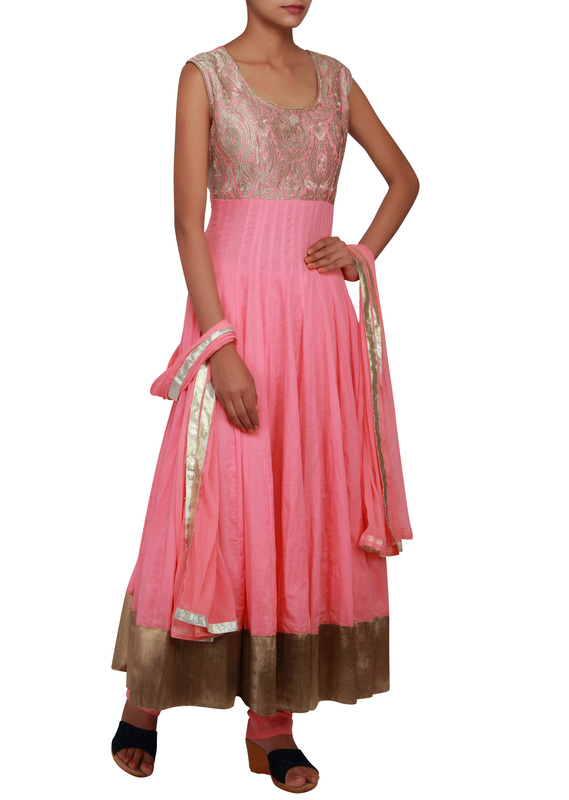 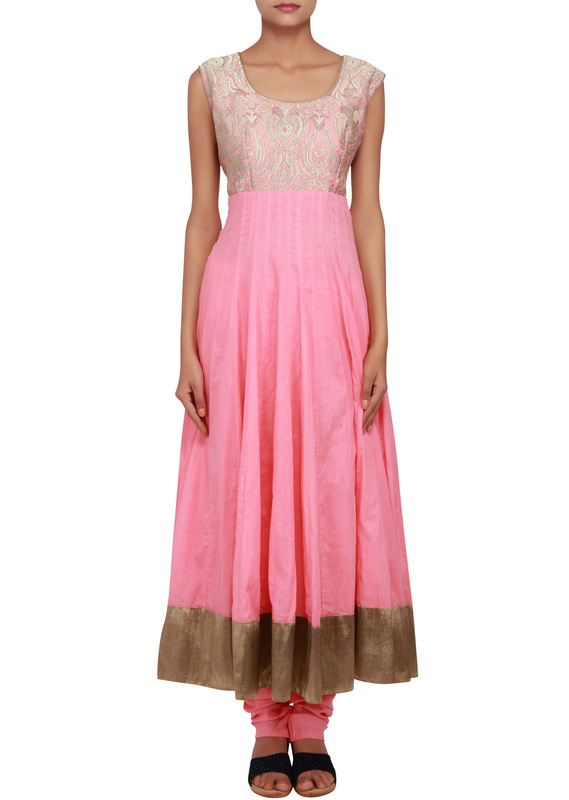 Featuring a baby pink anarkali in cotton silk with bodice embellished in zari. 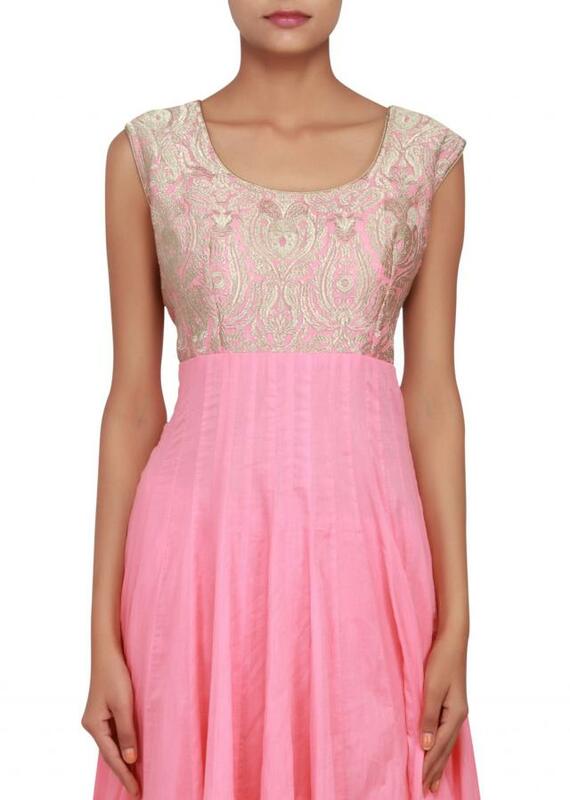 It is sleeveless and has a scoop neckline. The border is enhanced in broad bronze. The churidaar is in cotton and dupatta is in pink chiffon.